Mastercam gives you the tools you need to incorporate a successful CAD/CAM course into your program. With an easy-to-learn and use interface, easy-to-teach curriculum with motivational projects, and a knowledgeable and responsive support team, Mastercam is the clear choice for your manufacturing program. The Mastercam Educational Suite is Canada’s most-used CAM software for education, delivering the full power of the world’s #1 CAM system in one package. 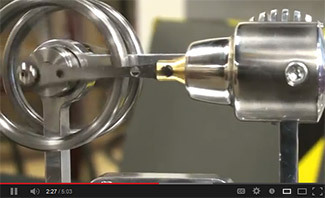 This comprehensive suite contains everything your students need to learn many machining methods from a single easy-to-use program. Model in wireframe, surfaces, and solids with CAD files from any of today’s leading packages such as SolidWorks®. A fully integrated Parasolid®-based solid modeler makes for easy yet powerful construction and modification. Learn more here. Machine everything from basic pockets and contours to complex 3D models and 4-axis control. Learn more here. Offering 2-Axis and Mill-Turn applications, Lathe ensures preparation for any turning job with easy roughing, finishing, threading, grooving, and more. Learn more here. Optimized for woodworking applications, Router includes full 3-axis machining and design including easy associative multisurface roughing and finishing. Learn more here. Wire offers fully associative EDM programming, with tools designed for easy programming of 2- and 4-axis parts and intuitive wirepath creation. Learn more here. Fully integrated CAM that runs directly within SOLIDWORKS, available for milling, turning or both combined. Learn more here. 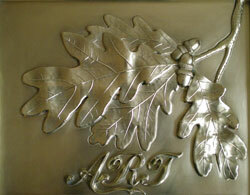 Mastercam Art adds artistic flair to conventional CAD/CAM in a simple, fast process. Your students can quickly bring their 2D sketches, clip art, photos, and CAD files to life by crafting them on screen and cutting them with easy, specialized toolpaths. Students can visually adjust their model, delivering the exact 3D look they imagined. 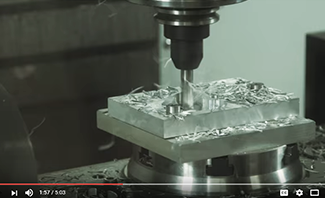 Mastercam Multiaxis is available for schools that go above and beyond 3-axis machining. Program your 5-axis CNC machine using one of the many multiaxis toolpaths found in Multiaxis. There’s simply no better way to program your 5-axis machine. Whether it’s a table-table trunion, tilt head, or a combination of both, Mastercam is the right choice. 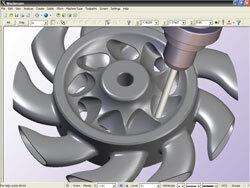 Mastercam HLE is demo software that provides students with many powerful Mastercam features. It allows them to practice what they are learning in the classroom, at home, on their own time. Students can save their files and continue their work at school. 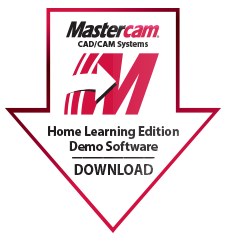 The Mastercam HLE DVD is included with virtually all of our Mastercam Training Solutions.